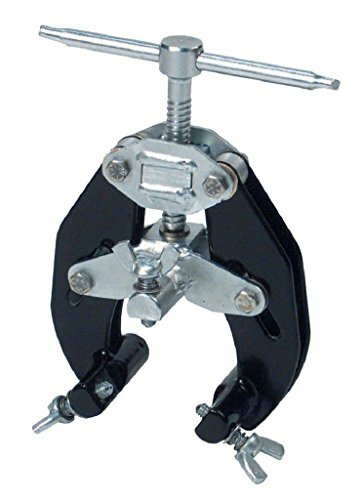 Sumner Manufacturing 781130 Ultra Clamp, 1" to 2.5"
The Ultra Clamp three point precision alignment assures accurate fit-up of 1" through 12" (25 to 300 mm) pipe. The main body of this versatile alignment tool is double-walled steel plate and guaranteed over the life of the product. Its simple, lightweight design has quick action and is ideal for all field and shop fit-up use. The Ultra Clamp covers a wide range of pipe sizes that would normally take four separate tools. View More In Pneumatic Clamps. If you have any questions about this product by Sumner Manufacturing, contact us by completing and submitting the form below. If you are looking for a specif part number, please include it with your message.